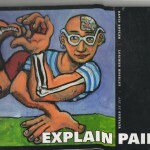 A book we recently came across that is available free online is Explain Pain. It may be useful for anyone who has struggled with chronic pain. It has easy to read sections on the physiology of pain and busts some common misunderstandings, with a good section on management of pain. Also remember that mindfulness within medical and psychological circles began with chronic pain patients as detailed in Jon Kabat-Zinn’s book Full Catastrophe Living. PreviousPrevious post:Loving Kindness MeditationNextNext post:What is positive psychology?